It's been three days since I stumbled upon this and I'm still thinking about how great this modern update of the classic Roger Moore Bond car is. Can't wait til the next Bond! Get the full story here. 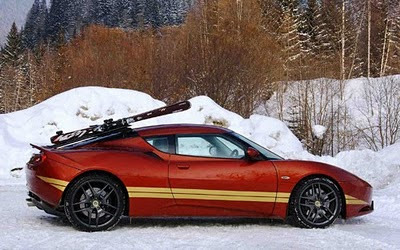 Hate to be the bearer of bad news, but the update to that story makes it sound like this car is for a Bond-themed Lotus ad / promo / short film, not the next Bond feature. Though hope springs eternal. Hmmmmmm. Not cool. Well, let's at least hope that it alludes to the next flick in one way or another!